The reviews for After the Death of Shostakovich Père just keep rolling in. Here’s another from Kim Loomis-Bennett at The Lit Pub. After the Death of Shostakovich Père is garnering some lovely and artistic reviews. Check them out here and here and here. The Collagist interviewed me about writing “The Tree. The Ash. The Ocean.” Check in out! These were some of the most interesting questions I’ve ever had to answer in an interview. Thanks to Rob McLennan for asking them. If you’re in Seattle or coming for this weekend (Dec 14-16, 2018), come check out an amazing celebration of choreographer Merce Cunningham at Velocity Dance Center on Capitol Hill. I’ll be reading some mini-essays about studying at Merce’s studio when I was a teenager and what his work has meant to me as a writer. More importantly, there will be dance and video celebrating and responding to his work on the 100th anniversary of his birth. And it’s been labeled a pick-of-the-week by many Seattle news sites! Link to tickets and info. Hope to see you there! It’s long been my dream for my work to appear in Conjunctions. 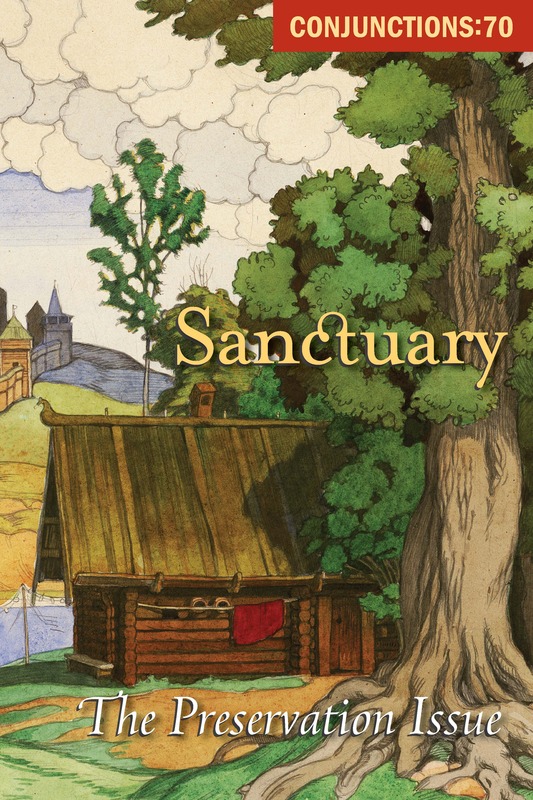 So proud that my story “The Cathedral is a Mouth” appears in Sanctuary: The Preservation Issue. My chapbook, After the Death of Shostakovich Père (winner of the PANK chapbook contest), will launch this spring 2018, at AWP Tampa. This one is about Shostakovich (of course! ), my father and his artwork, and my love for the stories of Jorge Luis Borges. And there are photos! And a ghost story in the middle! If you’re going to AWP, come get a copy. Pretty cool that Electric Literature published my essay “Laura Ingalls Wilder’s Magical Objects” on Cyber Monday, 2017. When we can buy so much stuff, does any of it feel magical or powerful? I’ll be reading from 26 Abductions at Richard Hugo House in Seattle, WA on June 3. 2015.